The owner of most RentPhuket apartments is originally from the UK and has spent nearly two decades living in Thailand. As most of the apartments on rentphuket.net are owned by us, tenants can be sure of quick, personalised service during their stay in Phuket. 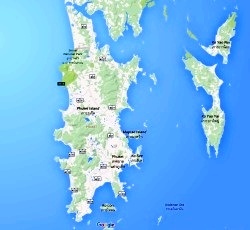 Together with www.phuketspace.com, we offer a range of affordable apartments on the island of Phuket, Thailand. Feel free to contact us using the contact form on this website, or drop us a line at info@rentphuket.net. You can call us from within Thailand on 080 532 1587, or +66 80 532 1587 if you’re calling from outside Thailand.